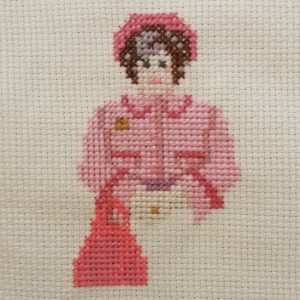 I’ve been wanting to try cross stitch design software for a while, and this month I found the perfect reason: &Stitches’s Fictional Villains Stitchalong. Using Ursa Software’s MacStitch program, I referenced a photo of my chosen fictional villain and freehanded her into the program. And I am super excited with the result – which is still in progress, but you’ll get the gist. I loved the MacStitch program, even working in the most basic demo version, and am now the proud owner of it. 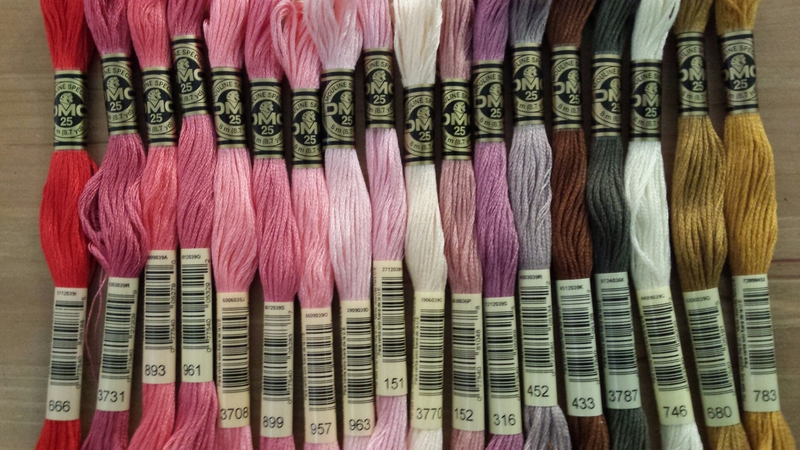 So look out cross stitch world, I’m going to be pattern-happy for a while now I imagine! 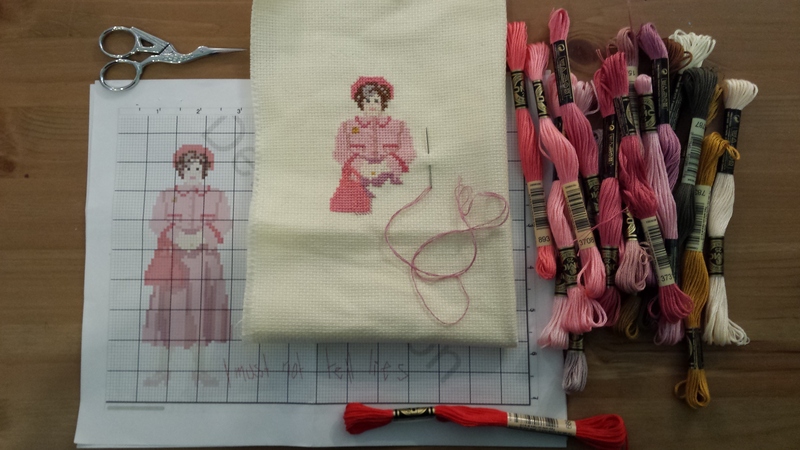 And then I was off to the stitch races, watching heaps of bad shows on Netflix and stitching away! Pure contentment. 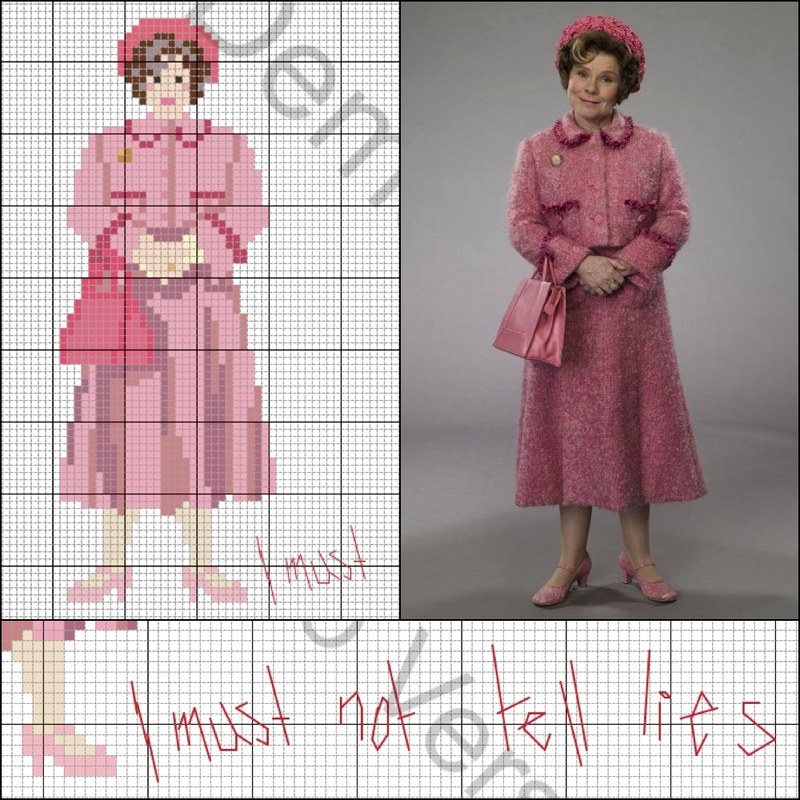 I think I’ll have to watch Umbridge in Harry Potter and the Order of the Phoenix while I finish her up this weekend, it’s be gruesomely satisfying to to have to tiny-stab her hundreds of time through her Aida cloth canvas!